Your Business Success was a business ‘makeover’ show that ran for 4 years on Channel 9 – the longest running and most successful business reality show every aired on Australian TV. The format of the show was simple but highly effective. A well accomplished entrepreneur visits a business to talk with the business owner and provide some advice and clarity around their key business issues. Then, a panel of expert consultants is brought in to further develop solutions to these key issues and get positive results for the business owners. 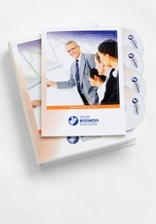 If you would like to see an in depth list of each concept covered in the case studies as well as the entrepreneurs and experts featured, please click here to download a PDF of the full Your Business Success Program. (No sign up required). The following topics/modules are covered in the extensive range of training videos: Building your brand, Promoting your business, Power Networking, Selling for success, Managing your Cashflow, Accounting for Control, Financing Your Decisions, Funding Your Business, Recruiting the right people, Managing people, Work/life balance, Succession planning, Business planning, Franchising, Exporting, New Inventions, Process improvement – manufacturing, Process improvement – retail and services, Using technology to grow and Going green. Your sales and marketing skills are vital to the success of your business. Learn from some of Australia's most successful marketing and branding experts how to attract and keep more customers with less time, money and effort. Have knowledge of the different types of marketing campaigns available to small businesses including directories, online, Google Ads, telemarketing, email marketing, ‘ambush’ marketing, print etc. and the pro’s and con’s of each. Be able to think deeply about their most ideal customer, customer behaviours and the best way to attract their ideal customers. Understand the ‘marketing mix’ concept i.e. it’s not one campaign or another that works it is a mix of campaigns. Also, they will realise that it takes between 6 and 9 contacts with a potential customer before their business becomes engrained in a customers mind therefore marketing must be an ongoing process. Understand which campaigns are more likely to suit their target market, how to implement and more importantly how to measure the results of different campaigns. Comprehend the ‘science’ behind the sales process, sales scripting and proposal writing. Know the importance of having a unique selling proposition and increasing sales using trial products, free offers and guarantees. Understand the difference between features and benefits and why customers buy benefits not features. Finance and money management are critical aspects of starting, developing and expanding a business, yet many business owners think of it almost as an afterthought. 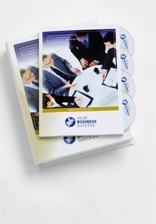 In this Volume you'll learn vital financial strategies for starting, managing and funding your business. Have healthy attitudes towards profit and cash-flow and not just have a focus on revenue. They will also be taught to plan to be profitable. Realise that ‘the dollars’ are not the only factor to be considered in most decisions e.g. leasing a poorly located premises with no parking to ‘save’ money. How to make effective decisions. Understand the debt collection process and how to ‘train’ customers to pay on time. Understand the different options available for funding and how to talk to banks and private investors. Other forms of cash flow relief covered include inventory finance and factoring. Have developed a simple but effective financial model to assist with forecasting sales, expenses, profits and cash flow. Understand basic insurance concepts such as key person, life, income protection. Know how to manage statutory requirements such as tax, super and self-managed superannuation funds. Have a basic knowledge of shareholder and partnership agreements and their use in business protection. Understand the basics of business valuation, selling a business and the process of due diligence. Many famous entrepreneurs credit people for much of their success. In a competitive labour market, your ability to attract, train, manage and retain a winning team can make the difference between success and failure. Know how to compete with other businesses for the best staff. Be able to find the best staff using job boards, recruitment companies, head hunters and using their own staff and/or website. Understand the importance of being an effective leader and how to delegate. Know how to ensure the candidate is right for the role. Developing position descriptions, Key Performance Indicators and targets. Have developed a structured interview process to ensure that every candidate goes through the same process. Learn how to remove ‘bias’ from the interview process. Know how to find staff in areas or industries that have difficulty finding staff. Understand the importance of induction and training programs even in small business. Know how to motivate and encourage staff and make sure they work towards the vision of the business. Understand work / life balance and how to create a business that doesn’t completely depend on the owner. Learn how to utilise succession planning practices to ensure that important information stays within the business even if staff leave. Understand the basics of workplace agreements. The wrong strategy, even perfectly executed, can mean disaster for your business. In this Volume, you'll learn how to create a winning strategy, plus how to tweak and re-align your strategy based on market feedback. 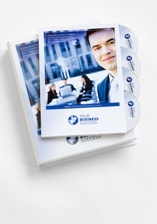 Have written a business plan that will guide and evolve with their business. Understand what investors and banks look for in a business plan and what not to put in a plan. Know how to seek government assistance for a business idea. Learn about trademarks, copyright and patents for new inventions. Learn how to buy a franchise or prepare their own business to be franchised. Learn what is involved if they wish to sell their product overseas, the export process, operating in different currencies and how to mitigate the risks. Receive an introduction to the legal aspects of setting up, franchising, commercialising and exporting. Learn about the most important aspects of presenting and packaging a product. All the branding, marketing and financial systems in the world won't help you if you can't deliver. This volume addresses the critical functions of operations, including how to leverage technology to increase productivity and profitability. Learn about the importance of workplace safety and compliancy requirements. Understand the use of Automation to streamline the efficiency of a business. Learn about using customer surveys and how to improve customer service. 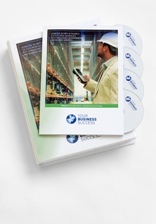 Understand process improvement for manufacturing, hospitality, retail and service businesses. Introductions to Six Sigma and Key Performance Indicators are provided. Know how to specify and design a system to streamline their business and evaluate off the shelf software applications. Understand basic technology for small business such as the use of servers, PDAs, wireless networks, virtual private networks and video collaboration. Learn about websites and secure online payments. Learn how to streamline the quoting process. Understand changes they can make to be more green such as dealing with waste, fuel efficiency, power consumption, LPG conversions etc. Choose any 1 module from any volume. Inludes all 5 volumes with over 11,000 hours of business coaching interactions with other small to medium business owners. Modules - Building your brand, Promoting your business, Power Networking, Selling for success, Managing your Cashflow, Accounting for Control, Financing Your Decisions, Funding Your Business, Recruiting the right people, Managing people, Work/life balance, Succession planning, Business planning, Franchising, Exporting, New Inventions, Process improvement – manufacturing, Process improvement – retail and services, Using technology to grow and Going green.